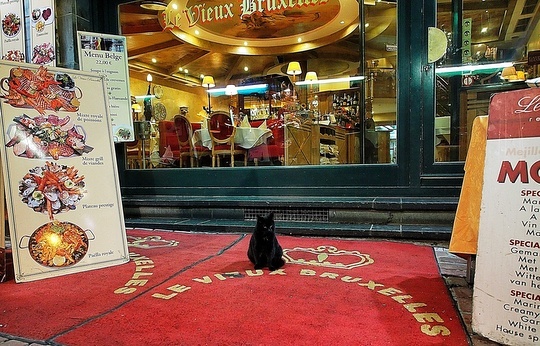 I found this black cat in front of the restaurant Le Vieux Bruxelles in the Rue des Bouchers in Brussels, Belgium. The Rue des Bouchers is a pedestrian street lined on both sides with restaurants. It's particularly cozy to walk through during the summer months when everyone is dining outside and clams, mussels, oysters, and lobsters are presented on large displays. The restaurants here are generally mediocre, though, and serve mainly seafood plates and typical Belgian dishes such as steak frites, boudins, tomates aux crevettes, and filet américain. 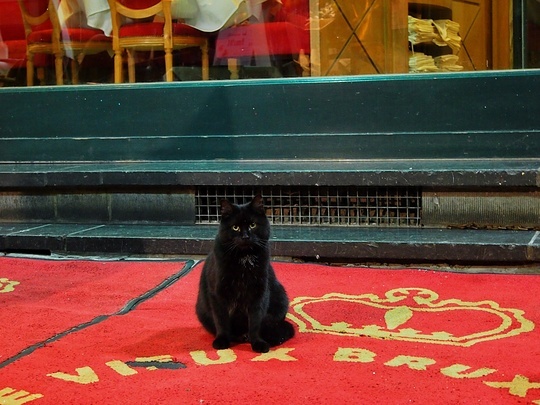 Because of the resident cat, a TripAdvisor reviewer called Le vieux Bruxelles a "CAT-astrophe". 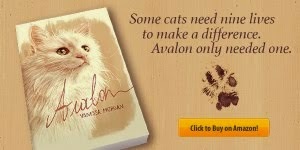 Of course, for cat lovers, this would be a good reason to visit. Now all I can think of it mussels frits and belgium beer. Have a wonderful Wednesday. Great photo! Have a wonderful Wednesday! Absolutely deserving of the red carpet! Love black cats. So cute. Have a great WW! He has his own red carpet, even! Oh, how I love black cats. Thank you for sharing this lovely photo. he is sooooooooo precious! He is in such a regal looking backdrop! Just dropping by from FIND & FOLLOW FRIDAY! 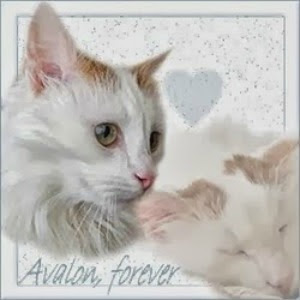 Beautiful Cat, I missed this one!! "Good evening...table for 2? MeeOOw."